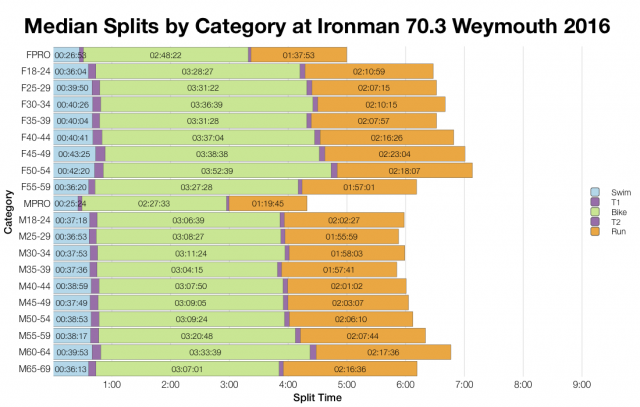 Alongside the full distance Ironman, Weymouth also hosted a 70.3 race at the weekend. 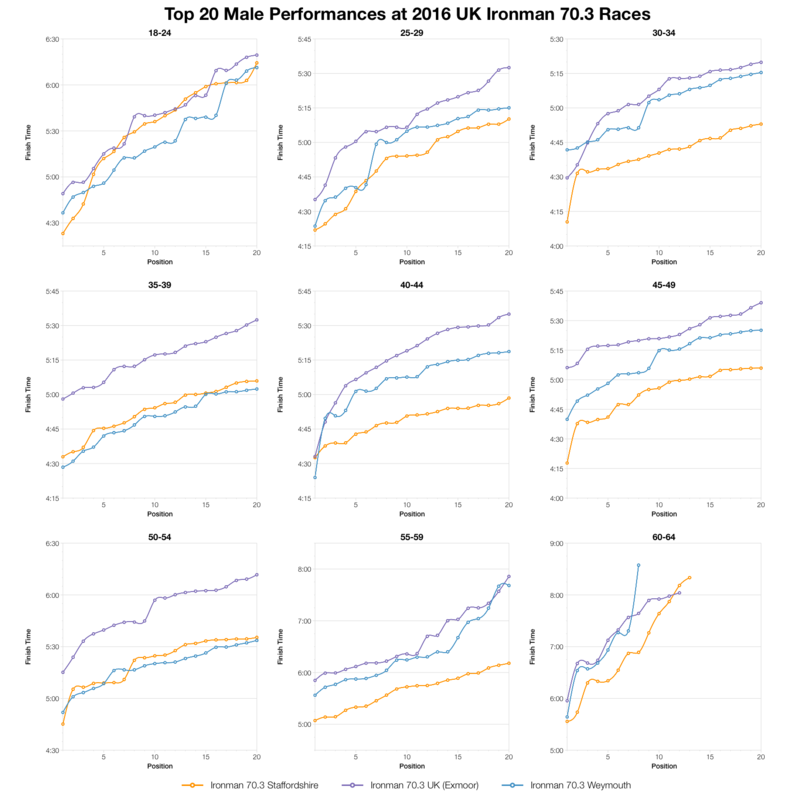 I don’t analyse results from many half distance events, but make an exception for UK based races. 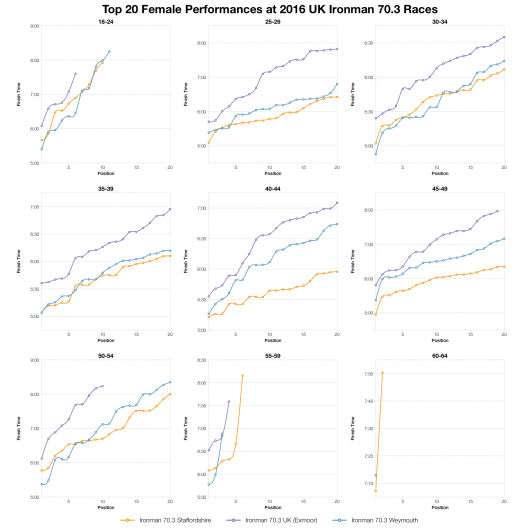 I haven’t collected historical results for the Weymouth half, so for this short analysis I’ll be seeing how the three UK Ironman 70.3 races compare. First up, distributions from the 2016 races. Wimbleball remains the slow outlier with its challenging bike being the main differentiator. 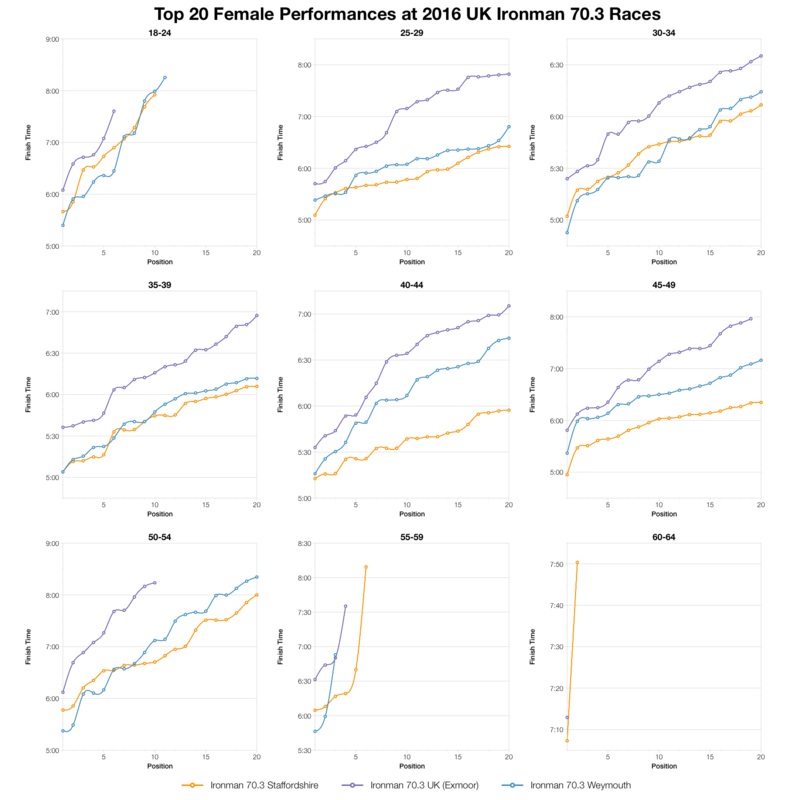 Staffordshire was slightly faster than Weymouth on both bike and run which is enough to make it the fastest of the three this year. DNF/DNS rates at the three races are comparable. Slightly higher at Wimbleball and Weymouth, but not by too much. Median splits mostly follow the patterns of the distributions. 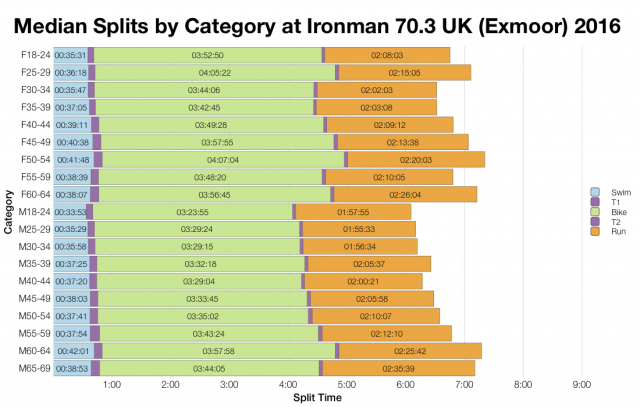 Wimbleball is consistently the slowest on the bike and generally Staffordshire is the fastest. 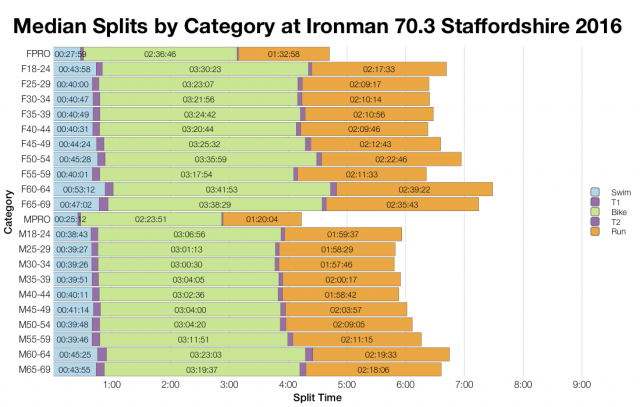 Run times are a little more closely set, but Staffordshire remains ahead. The swim is the one area where Wimbleball comes out in front. 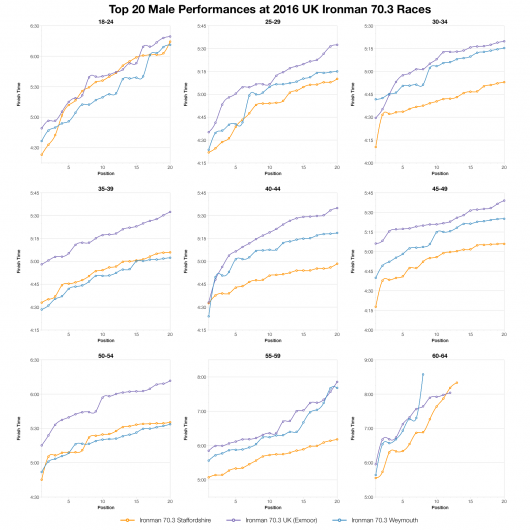 These top 20 charts compare times across the three races. The yellow line, Staffordshire, tends to lead the group, but Weymouth isn’t that far behind and in a few instances comes out ahead. As expected Wimbleball mainly brings up the rear – it is the slowest course of the three. That’s a light look over the results. Without collecting previous Weymouth half results I can’t position this race in terms of the event. The full distance proved to be slower than the previous Challenge races so the half may follow that trend. In comparison with the other UK 70.3 events, it’s no surprise this race is faster than Wimbleball and it looks like it’s just a touch slower than Staffordshire. You can access a spreadsheet of the full results and splits from Ironman 70.3 Weymouth 2016 on my Google Drive.